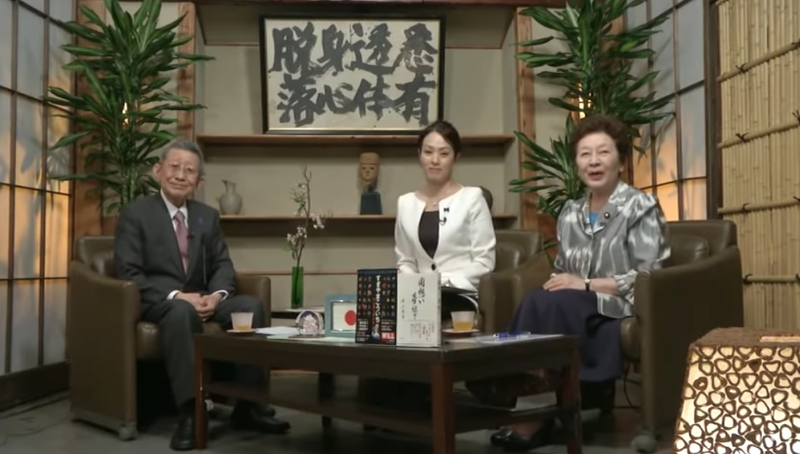 Japanese politician Mio Sugita has made international news due to her anti-LGBTQ comments on a television show. The program is co-hosted by Koichi Sugiyama, who composes music for the Dragon Quest games. The network is very right-wing. The show isn’t mainstream, nor is it widely seen. Sugiyama’s work, however, is. This chyron lists him as Dragon Quest’s music composer as well as his political advocacy. Below are some of Sugita’s comments. The clip has been subtitled and edited (you can see the full episode here). The voice you hear laughing along is Sugiyama’s. Sugita has been heavily criticized for her remarks. The Asahi Shimbun, one of the country’s largest papers, ran an editorial titled, “Sugita’s idiocy on LGBT rejected by society but not the LDP.” Sugita is a member of the LDP, or Liberal Democratic Party, which isn’t liberal, but rather, the country’s conservative ruling party. This also isn’t the first time Sugiyama has been the center of controversy. The famed composer has been labeled a Japanese war crime denier. That might explain why he appears on a network that previously came under fire for a documentary claiming the Nanking Massacre did not happen.